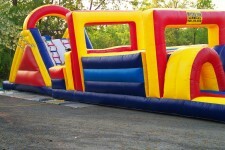 Fun1 Entertainment Services is your go-to choice for action equipment, carnival games & booths, and bounce house rentals. Whether it is a corporate event, private party, community event, or fundraiser – our party rentals are sure to be a hit with your attendees! 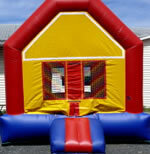 Our services go beyond the action equipment, carnival games, and bounce houses! 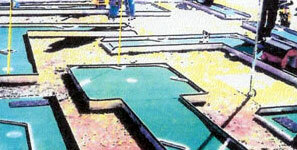 We can arrange sites, music, tents, tables and more. We will consult, layout, setup, operate, and tear down. 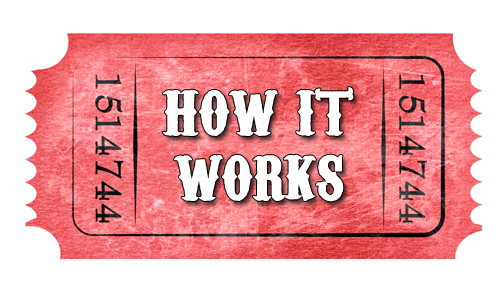 We create custom tailored packages for every event to be sure your needs are perfectly met and at an affordable rate. We’re based in the Capital Region of New York but no distance is too far! 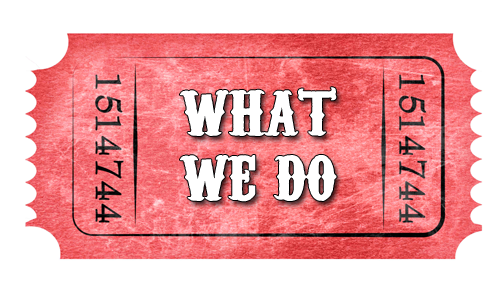 Take your event to the next level with Fun1 Entertainment Services! Contact us today! 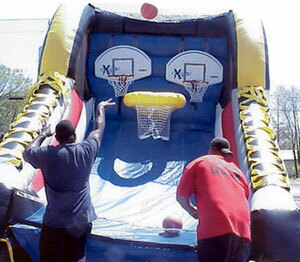 Fun1 Entertainment Services is proud to offer a variety of Action Equipment for your next event! 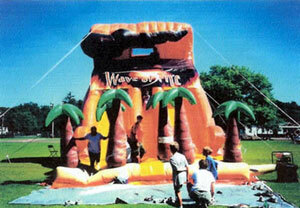 A perfect fit for older kids and adults, our Action Equipment is sure to make your event a blast. 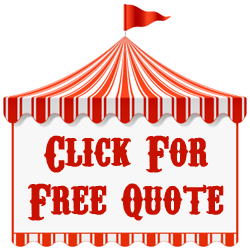 Browse our Action Equipment inventory below and let’s start planning your next event! Just like those great vacations…play 9 hole miniature golf with family and friends. Covered barn, loop de loop, and windmill come with this setup along with putters, balls and scorecards. This game appeals to young and old. Try to catch the Puffer Fish resting in the canvas. 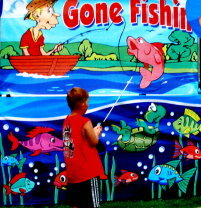 The magnet on the end of the pole makes it easy for the little ones to pick up the fish. Race against your opponent to make as many baskets as you can in a timed fashion. OR get 4 shots and try to get a ball in each basket. Watch out, this basketball game is pretty addictive. Participants try to knock each other off pedestal to air filled base. 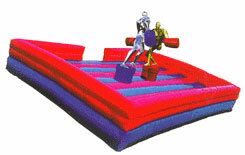 The inflatable joust is a great competitive item for picnics, prom parties, graduation parties and more! 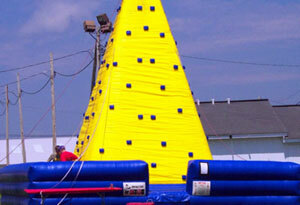 Adults and kids love racing the clock on this massive inflatable obstacle course. Two man course for one on one competitions or play against the clock. Very challenging! Hope your not afraid of heights. This slide appeals to kids and adults alike. Sombrero Toss is perfect for the little ones and yet is just as much fun for adults. 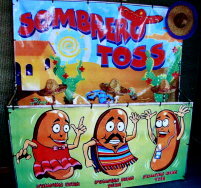 Sombrero Toss challenges the player to toss the sombreros onto one of the three jumping bean characters. Yippee and Yeee-haw! Longhorn Lasso is a blast! 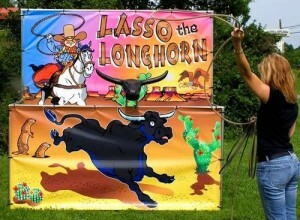 Kids and adults will have a rip-roarin’ time trying to lasso the bull’s head! Fun1 Entertainment Services presents the Kids Zone! 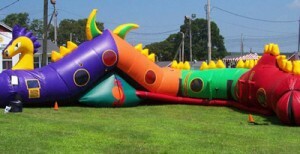 Our Kids Zone equipment is the perfect way to take your kids event to the next level (and then some)! There will be no shortage of fun and things to do when Fun1 arrives. 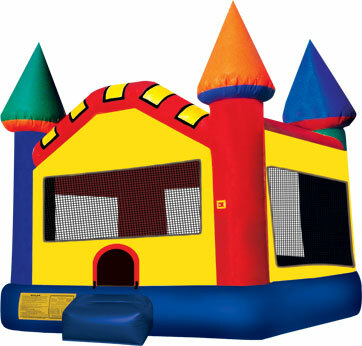 Browse our Kids Zone inventory of bounce houses, moon bounces & more, and let’s start planning your next event! 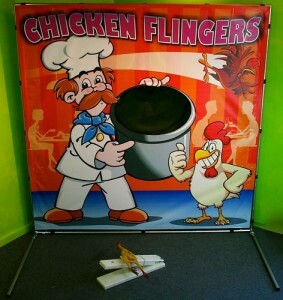 An all-time carnival favorite. 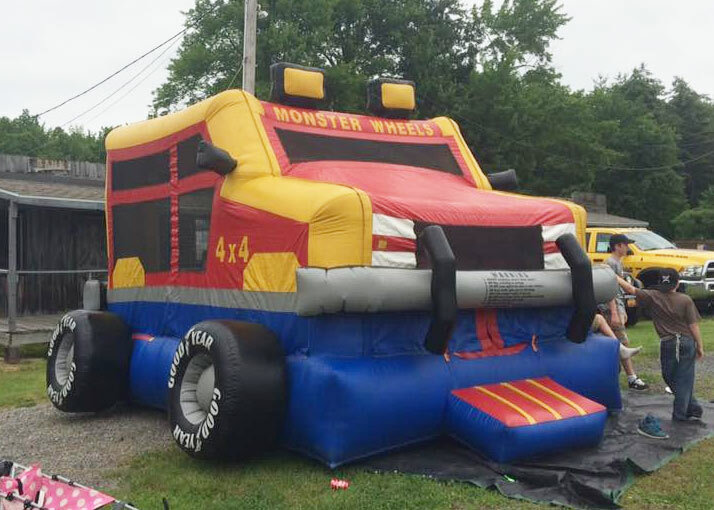 Kids love the thrill of bouncing on air on this 25' X 25' moon bounce rental! Who can throw the fastest? 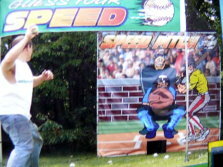 FInd out with this pitching game rental! Seaweed will be the biggest and brightest sea serpent the kids have ever seen. Her head is almost 15 feet high. Have fun running through this loch ness monster, she's over 50 feet long and has a mini slide inside. 3 sides of climbing up to 27 feet high. Our rock climbing wall rental is a big hit! 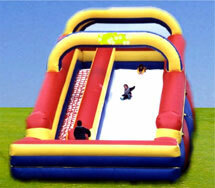 This huge inflatable slide is a huge delight to children from 3 to 12. 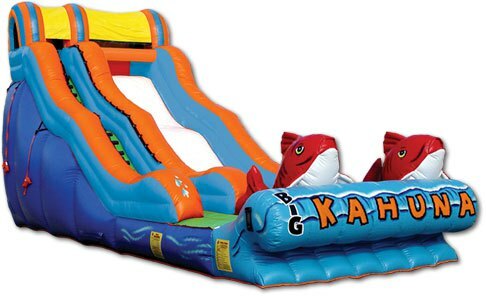 It is colorful, safe and provides hours of climbing and sliding fun! 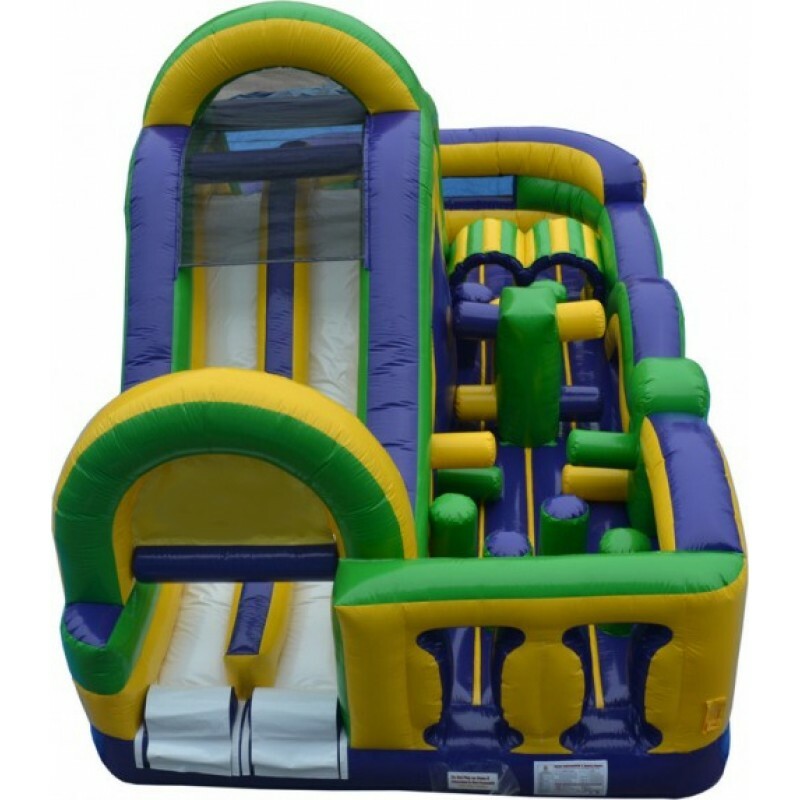 This Radical Run I. is the ultimate in compact obstacle courses with its bright yellow, green, and purple colors and its 7-element features.